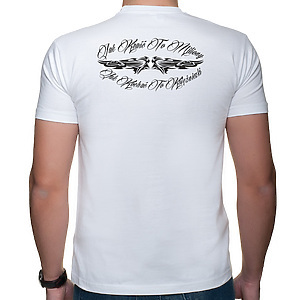 T-shirt of excellent quality, in high basis weight 190 g / m2, is characterized by very high durability. It was made of 100% non-stretchy and high-quality cotton. A double seam was used around the neckline and along the sleeves along the edge. The neck puller retains its original shape even after many washes!